by award-winning author Pegi Eyers is an amazing read. "Am I who my Ancestors worked so hard for me to be?" with a resounding YES! a book for our troubled times, and a balm for the reader. Thank you Pegi Eyers for Ancient Spirit Rising ~ hands raised to you!" 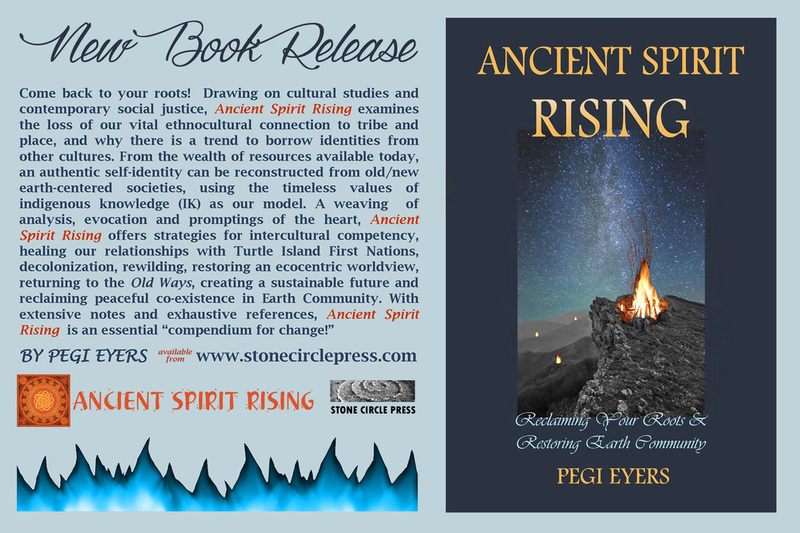 ﻿The award-winning book Ancient Spirit Rising: Reclaiming Your Roots & Restoring Earth Community by Pegi Eyers delves into intercultural competency skills, the path to reconciliation, and earth connectivity for all people. With extensive notes and exhaustive references, Ancient Spirit Rising digs deep, and provides clear and concise guidelines to important questions. What were the foundational nation-to-nation agreements in the Americas? What can be done to right the wrongs of history? How can we effectively make change? In her quest to discover the truth about the First Nations/Settler divide, Pegi's bonds to the natural world provided the anchor for her thinking and writing process. She sees herself as part of a new generation who are “awake and aware” and combine social justice with peacemaking and other spiritual paths. Ancient Spirit Rising also examines harmful New Age ideologies and the phenomena of cultural appropriation, and how a return to earth-emergent practices can replicate the same colonial agendas we are attempting to dismantle. Instead of appropriating from Indigenous people, there are more balanced ways to re-land and rewild ourselves, and Ancient Spirit Rising offers modalities for authentic self-identity in the rejuvenation of our specific heritage or ethnoculture. In fact, what better place to source the tools and worldviews we need moving forward, than from our own Ancestry? In the wisdom of the past we may find the seeds for the future. Reviving the ancestral ways can be our best strategy in our era of massive change and climate disaster. For all who hear the “call of the wild,” or are yearning for a more intimate relationship with the land, today’s exciting movements in animism, rewilding, voluntary simplicity, eco-living and sustainable community are all found in Ancient Spirit Rising. 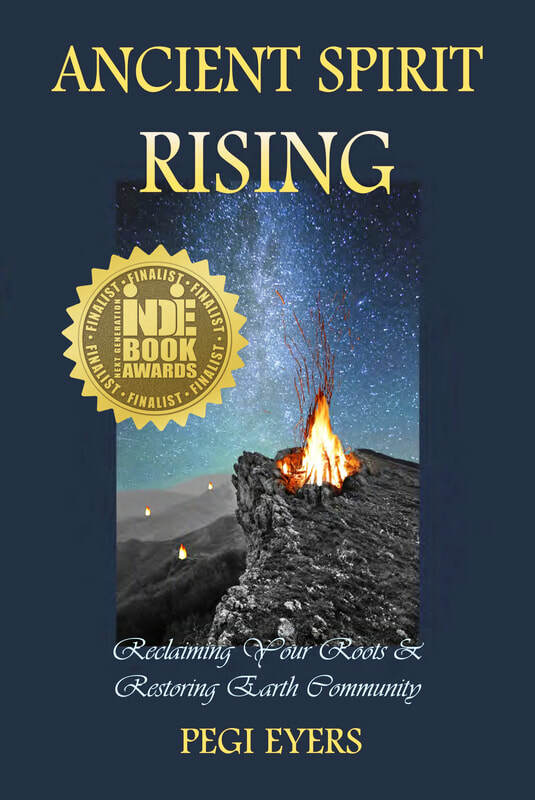 An all-inclusive blend of cultural studies, social commentary, neurodecolonization, ecospirituality and practices for recovering the Old Ways, Ancient Spirit Rising is a compendium for change! 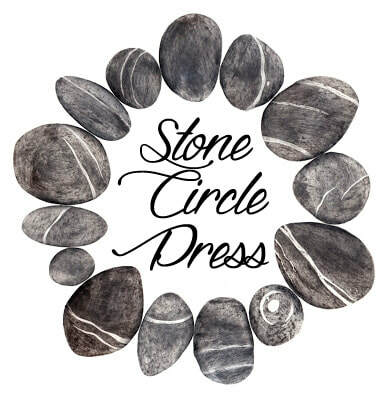 Whetung Ojibwa Centre at Curve Lake First Nation in the Kawarthas offers a spectacular collection of indigenous art, craft and books including Ancient Spirit Rising! 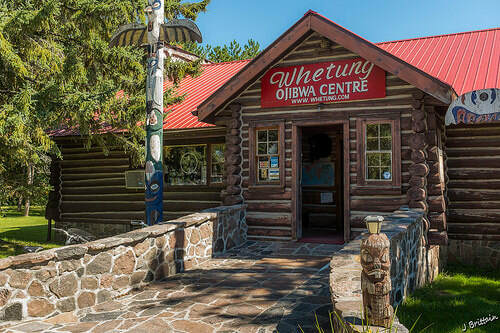 Whetung Ojibwa Centre is open 7 days a week from 9 - 5. Access new writing from the author of ANCIENT SPIRIT RISING on Academia.edu, a platform for the sharing of academic papers. "Nogojiwanong: The Place at the Foot of the Rapids"
Join our e-mail list for updates and newsletters from "Ancient Spirit Rising!"